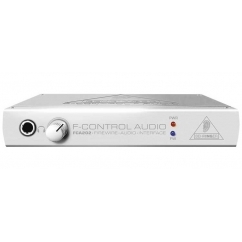 Ultra low-latency 2 In/2 Out 24-Bit/96 kHz FireWire® Audio Interface. This ultra-compact FireWire® audio interface is an ideal companion for laptop musicians and ingeniously complements any studio. 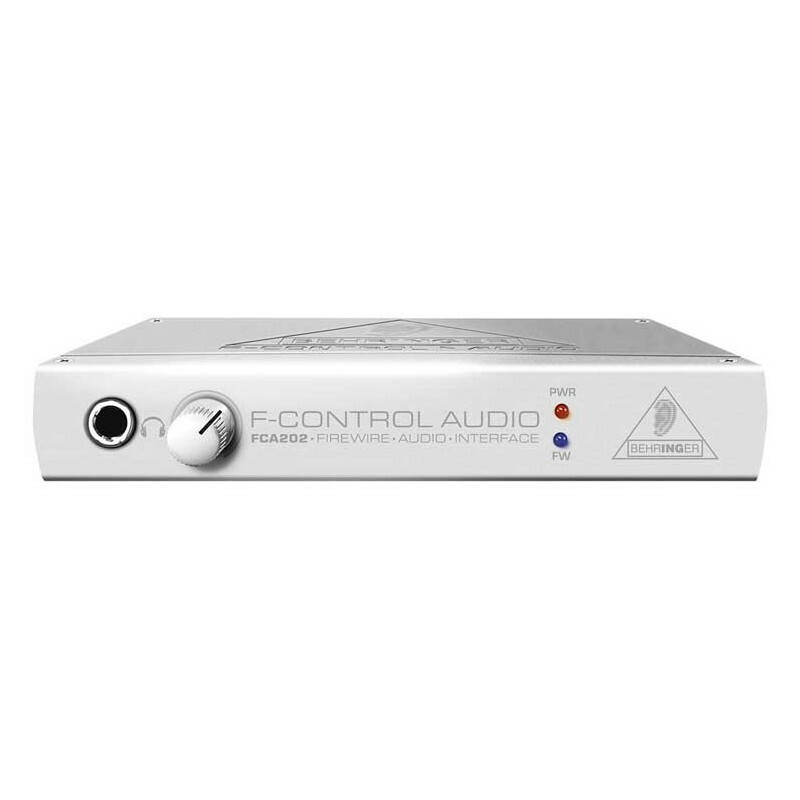 Its hot features include: Two ¼" connector inputs and outputs for connecting synthesizers, mixers and more; high resolution 24-bit A/D and D/A converters offer 96 kHz sampling frequency; volume-controlled headphones for discreetly working on your compositions, even on the road. Reliable Windows XP® and Mac OS® drivers guarantee low latencies. With the ultra-stable metal construction, the FCA202 easily defies the adversities of travel. And its small dimensions make it an ideal solution for laptop recording. Additional features include two 6-pin FireWire® connectors, a security port for Kensington® locks and the possibility to power the FCA202 via FireWire® or a mains adapter, which is included. The hot FCA202 package also comes with the coolest sequencing software for mobile music production: the BEHRINGER Edition of Ableton® Live Lite 4. Kristal and Audacity® are also included and will empower you to face any recording challenge.